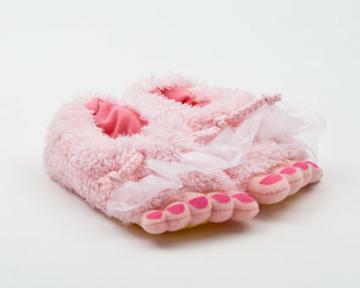 Put a hop in your little one's step with these darling Toddlers Rabbit Feet Slippers! 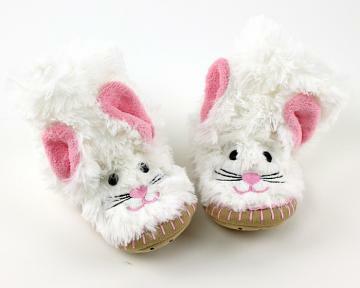 Perfect for dress up, bedtime, and anytime in between these Rabbit Feet Slippers are sure to bring a smile. With a non-skid sole, these slippers provide stability, as well as comfort! Soft and cozy, they make a perfect gift. 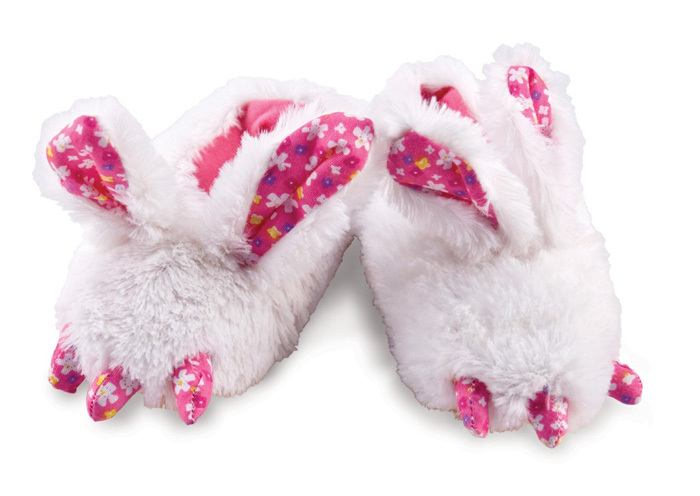 I purchased other slippers from bunnyslippers.com, but I nearly died of cuteness when I saw these. PLEASE, pretty please make these in adult sizes!!!! I would be first in line! Disadvantages: Shipping to Canada is pricey, but that's not the company's fault.